Braun has a reputation for making some excellent shavers. There’s a reason that they dominate the shaver market all across the board. You can get affordable, versatile shavers, or go for a premium model if the price is no object and you want the best of the best. But of the Braun shavers, which should you spend your time and money on? We can help with that question. We put this helpful guide together and all the research so you don’t have to. You’ll be on your way to a great new shaver in no time. In this guide, we’ll go through all of the great things which make Braun shavers some of the best in the business and explain why we think our picks are the best of them all. Let’s start with a brief overview of their general characteristics. Before we get the details of our favorite Braun shavers, there are a few key aspects you should keep in mind. These factors can help determine what separates a good shaver from a mediocre one. Understanding these terms will also help you see what makes each of our picks worthwhile. Waterproof: Waterproof shavers are great for two reasons: you can use them in the shower and you don’t have to worry about damaging them when you clean them. Using a shaver in the shower is always recommended because it minimizes any cleanup and it allows for a closer shave if you’re trying to become clean-shaven. All shavers need to be cleaned under running water, but shavers that aren’t waterproof need to be cleaned more carefully so that you don’t spill water into the electronics in the handle. Sonic Tech: Some more advanced shavers use sonic vibrations as their primary method of vibrating the blades. 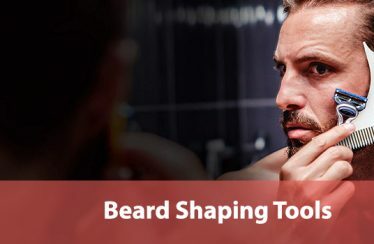 This is a great method as opposed to regular, physical motion, as the sonic vibrations allow for closer shaves because they make the hairs of your beard stand up more firmly before they’re cut. Any shaver relies on sonic tech is going to provide you with a closer shave than competitors. Precision Trimmer: Some shavers are equipped with an additional pop-up trimmer or extendable trimmer that can allow you to shaver cut hair in small, precise lines. This is invaluable if you’re trying to sculpt your beard or shave small areas like your sideburns. It can also help when dealing with nose hair or if you have trouble with the corners of your jaw. Battery Life: Good battery life is essential. While you should always have your shaver plugged in when not to use, longer battery life will let you shave for longer periods of time or occasionally forget without consequences. Pivoting Head: Finally, a pivoting head is a great feature to look for in any shaver because it will help you achieve an even level of trimming across all parts of your beard. Your jaw shape or bone structure can be accounted for with a good pivoting head. 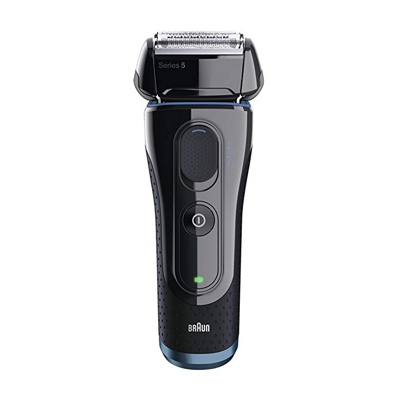 The Braun Shaver Series 1 190s is a great choice if you’re looking for something simple and effective and don’t need a lot of extra features or perks to turn your beard the way you like. It’s compact and easy to hold thanks to the textured grips on the side and has a wide head it’s great for shaving large portions of your beard at once. It’s a perfect broad trimmer. The head does contour to the shape of your jawline to some extent, although this isn’t as drastic or fluid the more advanced shavers that have come out recently. It’s not waterproof, but it does let you wash the head beneath a faucet. It’s also quite affordable, standing in stark contrast to the more expensive Braun models we’ll look at later in the review. This shaver comes with a great number of accessories as well, such as a protective cap for the blade, a cleaning brush and some shaver oil. The charge and run time values aren’t the greatest, but this is a simple shaver that’s meant to stay in your bathroom last a long time. It receives charge from an AC charger that you plug into the wall. It’s a good baseline model or pick if you need something reliable and don’t care to specialize or go for any premium shavers. 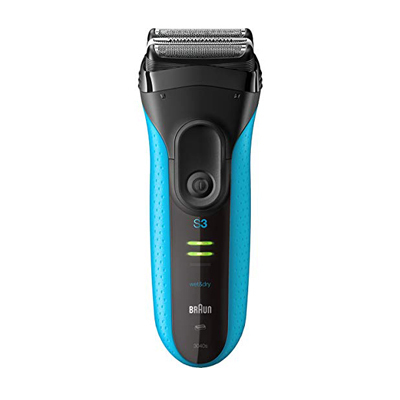 The Braun Electric Shaver Series 3 ProSkin 3010s is another extremely affordable model that comes with a much wider variety of perks and technological enhancements that make it an evolution to the Series 1 shaver. This shaver boasts pressure sensitive blades that have the ability to retract automatically if it seems like you’re pushing too hard on the sensitive skin of your face. This can be a great perk if you have naturally sensitive skin already. The blades are assisted by a Micro Comb which catches hairs on your face the first time you drag across any particular area. This makes the blades cut more effectively and keeps your shave smoother than it might be otherwise. The handle is extremely ergonomic, which helps you out if you want to shave in the shower or similarly wet environment. The shaver can be used both wet or dry and has a pretty good battery life: 45 minutes for one hour of charging. 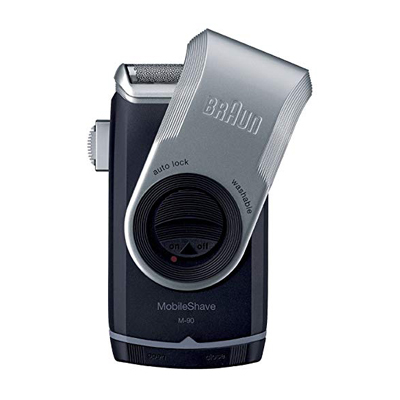 The shaver head doesn’t pivot at all, but this is a minor flaw when you take into account all of the great features that are included with this model. Like the series 1, the series 3 is going to be a great pick for quick or thorough shaves instead of detailed trims. The Braun Series 5 5040s is very much suited for cutting around corners or other tough spots on your jaw that might be difficult to trim due to their location. 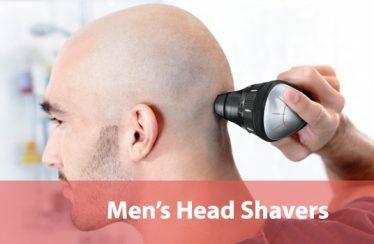 The shaver head can pivot in eight different directions so that the two blades equipped on the head can cut in all directions and shave no matter where you place them. The blades are suspended a little higher than the blades of other models to help them cut cleanly and smoothly. This is great if you’re going for a totally smooth shave, and it’s easy to accomplish this even if you have a thicker beard or stubble of varying lengths all across your face. The AutoSensing motor will assist the blades and set their height accordingly, so they don’t accidentally cut your skin or don’t cut close enough. The shaver is totally waterproof and can be used in the shower to help accomplish a perfectly smooth shave, but handling it is a little tricky because it’s shape isn’t as ergonomic as we’d like. It does come with a number of great accessories to offset this flaw: shaver oil, a travel pouch, and a plastic cap to protect the blades when not in use. A full charge will net you about 50 minutes of runtime, which is a pretty great ratio for a shaver of this size. Altogether, this is a great tool if you’re planning on getting rid of your beard or need help getting rid of stubble or stray longer hairs that tend to collect on your chin or the corners of your jaw. The Braun Series 5 5195cc is another entry in the Series 5 line from Braun. 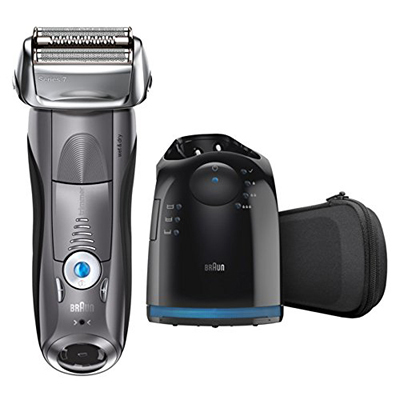 It has a lot of the same innovations as the previous shaver, such as an 8-direction head and an AutoSensing motor that will automatically adjust the blades’ closeness to your skin based on the amount of pressure that you’re currently applying. The blades are very sharp and perfect for achieving smooth shaves or trimming. 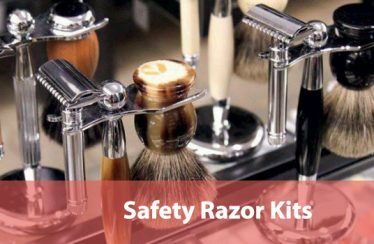 However, this does raise a few issues if you tend to push hard on your shaver as you use it or if you’re going for a clean shave and are used to the pressure required to consistently stay smooth. The blades have no skin guard, so you end up having to rely on the flex head to prevent you from experiencing minor cuts around the corners of the jaw. This waterproof tool has another extra function that we really like. It’s a pop-up trimmer that you can slide out with your thumb and used to trim your sideburns or perfect your beard lines. It’s a great additional feature that brings some extra value to an already-excellent shaver. The shaver comes with a clean and charge station, which accomplishes both recharging the shaver and maintaining its cleanliness even in a moist bathroom. For the cleaning function, you’ll need to restock its oil supplies every once in a while. Shaving time is the same as the last Series 5 shaver: 50 minutes. 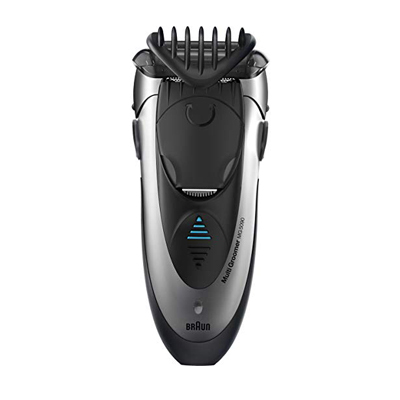 Braun brings more evolution with the Braun Electric Shaver Series 7 7865cc. 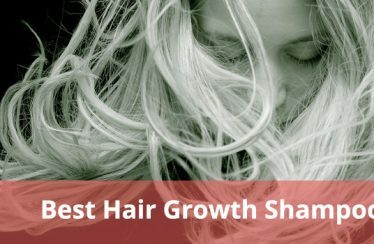 It has a lot of the same great aspects we’ve already seen but adds sonic technology to make cutting and trimming more reliable than ever before. The way this works is that micro vibrations control the actual cutting of the blades as you move the shaver across your face. This works in tandem with the 8-direction head to make getting a clean shave much easier and more thorough even with just one pass than ever before. There are five different shaving modes which you can switch between to personalize your shave or maintain the same look over time. This is great for beard maintenance because it doesn’t rely on you remembering how much pressure you used the last time you trimmed. The adaptive pressure sensors included in this model are really effective at preventing you from cutting your face even if you push hard or are inexperienced. 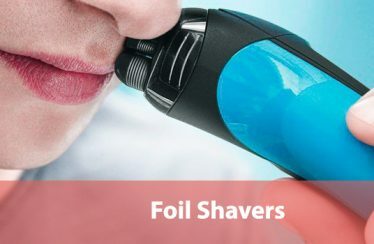 For the trickier areas, a pop-up trimmer just like the one from the previous shaver is also included to allow you to get sideburns, nose hairs, and similarly-difficult patches. That’s not all. The shaver comes with a clean and charge system that provides good battery life for a decent charge time. A travel case is included, although the size of the charging station negates this somewhat. The shaver is, of course, totally waterproof, and is easy to handle. The Braun MG5090 3-in-1 is a versatile product that can be a great pick if you’re looking for a single tool for all of your hair styling needs. It includes a shaver, a comb for styling your hair, and a trimmer all in one convenient, easy to handle product. The shaver is extremely wide in the head, making it ideal for clean shaving or for getting large patches of hair at once. The styling comb can be adjusted between four exact points: 1.2 mm, 2.8 mm, 4.4 mm, 6 mm. You simply extend the comb, click in a position, and start styling. The trimmer is a little better than the other pop-up versions we looked at earlier. It’s twistable and has a narrow and a wide side so your ability to precisely contour your beard has never been greater. You can get some really detailed lines through the use of the trimmer alone, then use the shaver to touch up all of the space on the interior. The shaver is totally waterproof but doesn’t have the best runtime: only 30 minutes for an hour of charging. Still, this isn’t so bad as to negate all of the excellent features that this 3-in-1 tool brings to the table. 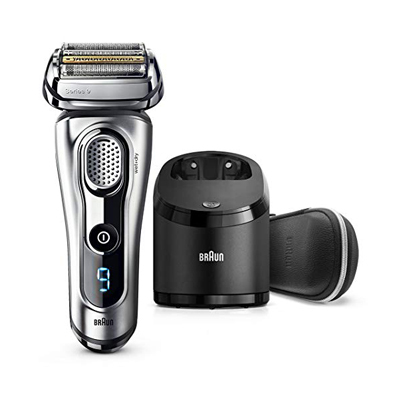 When it comes to premium shavers, there’s no better than the Braun Series 9 9290cc. It takes a lot of the great features we’ve seen from the other Braun models and takes them even further. 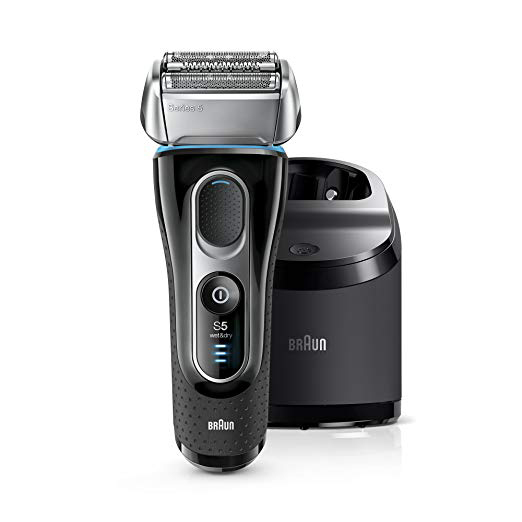 For instance, it has five very sharp blades and a pivoting head that’s assisted by an AutoSensing motor to help keep your shave smooth but gentle matter how sensitive your skin can be. The shaving is supercharged thanks to the 10,000 micro vibrations that are implemented by the motor to shake your beard hair free and make sure that each strand is cut is close to the root as possible. There are two specialized trimmers implemented into the head that are coated with titanium. These help capture hairs that may lay flat or which are otherwise difficult to cut without affecting your skin or rubbing it raw. All this is further assisted by the fact that the head can pivot in 10 different directions. The shaver comes with a clean and charge station that has a good runtime of 50 minutes. A travel case is included with the purchase. We also really like the silver aesthetic and the economic handle. A small LED light will inform you of how much time you have left before you need to charge again. 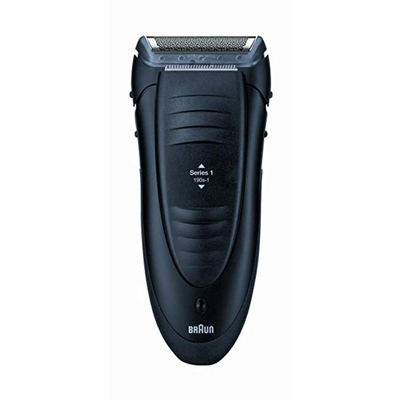 It’s definitely quite a pricey shaver, but when it comes to total quality and the most thorough of smooth shaves, you’ll find nothing better than the Braun Series 9 9290cc. The Braun M90 Mobile Shaver is a bit of a niche pick, but we feel it’s important to represent the dedicated traveler’s needs. When it comes to shaving on the go, there’s nothing better than this little gadget. It’s small and very easy to pack into a suitcase or smaller bag, or even your pocket. It runs on AA batteries so you don’t even have to worry about taking a charger with you. This does mean that you need to buy new batteries every once in a while, but the value you get from being able to take your shave anywhere you like worth that extra cost in our eyes. The shaver is designed to be comfortable even when you’re shaving close and is easily washable under running water although it is not totally waterproof. A precision trimmer is included to add some more value and let you target the harder to perfect areas like your sideburns. The shaver comes with a twist cap to protect it while it’s not in use. Overall, this is a greatly affordable shaver that’s perfect if you want to maintain your trim with a minimum hassle. Now that you have a great new Braun shaver, you probably want to use it right away. But before you start shaving, read through these quick tips and tricks to help achieve a perfect shave on your first try. Waterproof shavers are best for this, although you can also rub your face with a warm washcloth to accomplish the same effect. Basically, you want to warm and moisten the pores of your face because this will make the hairs on your face extend further out, allowing them to be cut more deeply. This will extend the length of time for which you have smooth skin. If you’re going for a clean shave, use shaving cream! You might think that you don’t need this since you have a fancy Braun shaver, but shaving cream both helps the shaver to cut more effectively and protect your skin from getting razor burn. Take it from us; razor burn is the worst. Take an extra second and apply the cream before you do a close shave and you’ll be much more satisfied and feel great immediately after. When shaving, be sure to drive the shaver or blades against the natural direction that your hair is leaning towards. This will help make your beard hair stand up so that it will be cut closer to the root. Just like with warming your pores, this will extend the length of time before you need to shave again. A lot of guys who are new to shaving will push too hard, thinking that they’re getting a closer shave. But the truth is that no pressure you can apply is going to make much of a difference in terms of how close a shave you receive. That’s all determined by the blades themselves and any preparation, such as a shower, that you did beforehand. With all of this information, you should be ready to pick a great new shaver and eager to try out its capabilities on your own beard. Whether you’re going for a clean shave or just trying to maintain your current facial hair style, we hope we’ve been helpful and that you can put these tips to good use.